Product Designer at @Hike. Previously at Uber. 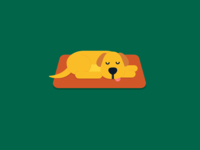 Dog 🐕💤 — Empty state illustration for No Activity. Hike – Iconography (filled) — Sharing filled icons designed for Hike.